System hang 등의 시스템 장애 원인 분석을 위해 위해 키보드 또는 Bang 유틸리티를 일반적으로 많이 사용합니다만 Notmyfault 유틸리티를 사용하면 좀 더 다양한 유형의 Crash 또는 Memory Leak 을 발생시킬 수 있습니다. 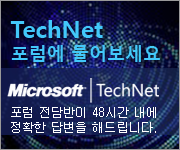 NotMyfault 유틸리티는 NotMyfault.exe 와 myfault.sys 2개의 파일로 구성되어 있으며 참고자료에 링크된 Mark Russinovich's technical blog 에 가시면 32, 64bit 버전의 툴을 다운로드 받을 수 있습니다. WinDbg 를 통해 crash driver 와 paged pool 사용 정보를 확인합니다. f799f579 8b08 mov ecx,dword ptr [eax] ds:0023:e14c0008=???????? kd> !for_each_module s-a @#Base @#End "Leak"
0040b3a4 4c 65 61 6b 20 26 4e 6f-6e 70 61 67 65 64 00 00 Leak &Nonpaged..